April 19th 2018, was a tragic day as ourcolleague, Prabhu D (GRF Team), based out of the Bangalore office passed awaydue to cardiac arrest. Many of you would have interacted with him. Prabhu was 43 years old and is survived by his wife Sujathaand his three children, Dakshitha aged 15, Hritika, aged 14 and Shrithija aged12. Prabhu’s mother was also dependent on him and he was the sole bread earner for the family. Thank you for the wonderful support. 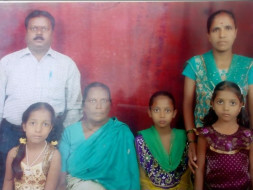 All the funds raised via this campaign on Milaap will go towards Sujatha (Prabhu’s wife) account and we are helping her to have an FD account, which will help the family with monthly bank interest. It gives me immense pleasure in informing you all that we are planning to utilize the funds raised from this campaign on investing in bank and helping the family with the future needs and daughters marriage. 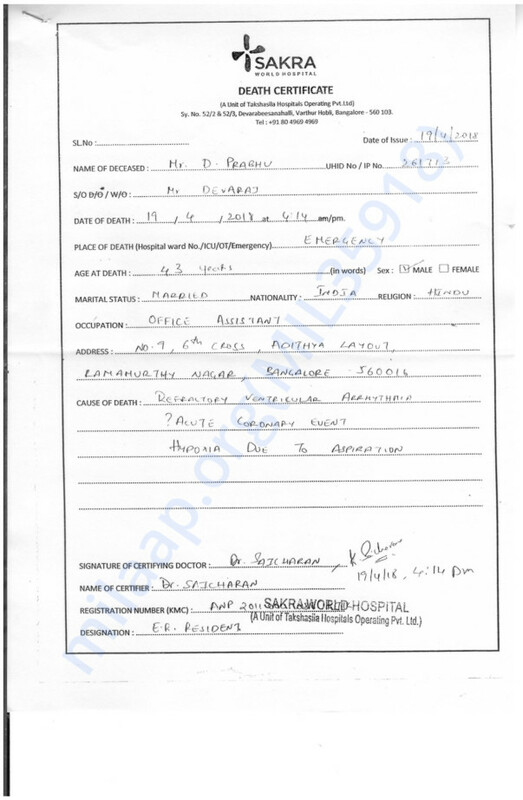 The funds raised here are being withdrawn to the account of Sujatha- Prabhu's wife. Thank you so much everyone for this noble cause please. It gives me immense pleasure in informing you all that we are planning to utilize the funds raised from this campaign on investing in bank and helping the family with the future needs and daughters marriage. The three daughters education is supported by Hope Foundation till their graduation. Thank you so much everyone for this noble cause please. Take care.may god give them strength.